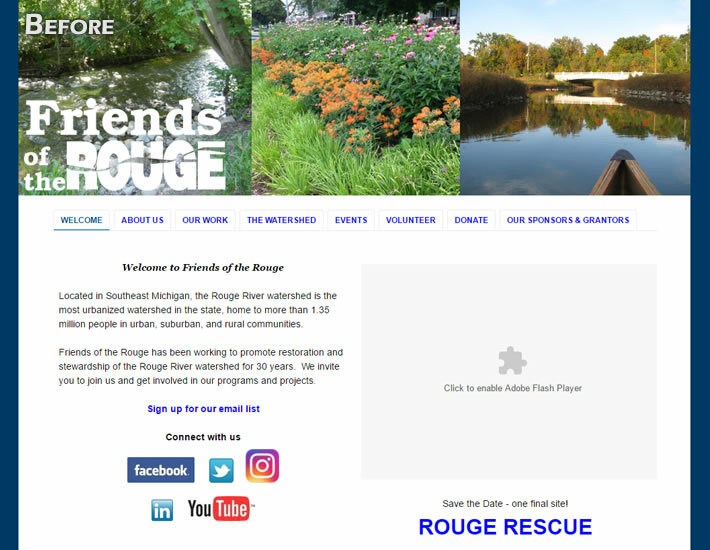 Friends of the Rouge is a nonprofit in Michigan whose mission is to promote restoration and stewardship of the Rouge River watershed and has been doing so for 30 years. The website, however, was lagging far behind in user experience. Not only was a responsive site overdue, but the overall content delivery needed a revamp. tmsr Design Delivery worked with the busy staff to meet their timeline at the level of involvement they needed. As we launched, we empowered their staff to take over site development with tmsr Design Delivery in the wings for consulting on an as-need basis. 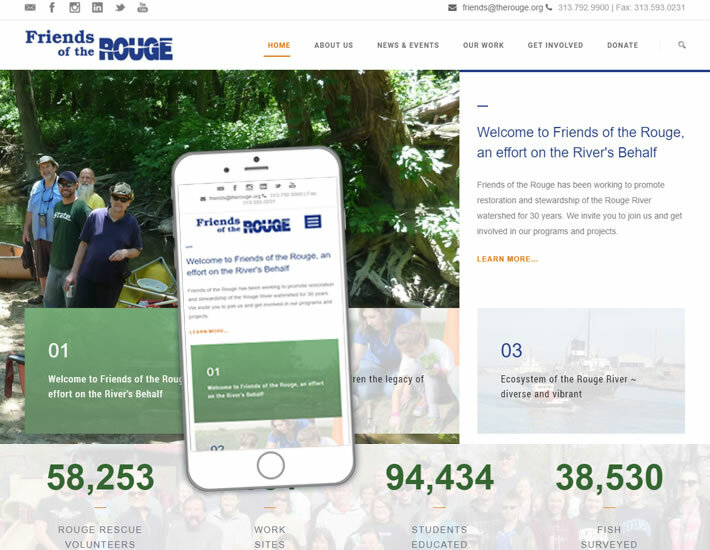 Visit Friends of the Rouge’s website HERE.